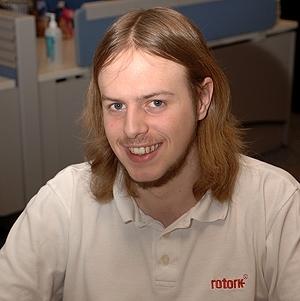 I joined Rotork when I was 17 years old to do a four-year technical apprenticeship. Since working at Rotork I have grown in confidence and improved my time management skills. I have met many new people and my knowledge in engineering and electronics has grown vastly. I am now a Test Rig Technician for the company thanks to the apprenticeship scheme; I work on designing and maintaining current and new test rigs which are used to test our products. This job requires all the skills and knowledge I have learnt at college over the last four years. I enjoy working for Rotork as it's almost like working with your family as everyone is so friendly and supportive. The benefits Rotork provides are wonderful and the work I do is always interesting and challenging. Rotork as a company is always improving and growing. Whilst working at Rotork I have gained my Performing Engineer Operation (PEO) Level 2 in Engineering and Machining, National Certificate in Engineering Manufacturing Technology and I have just completed my HNC in Mechanical/Electrical Engineering.